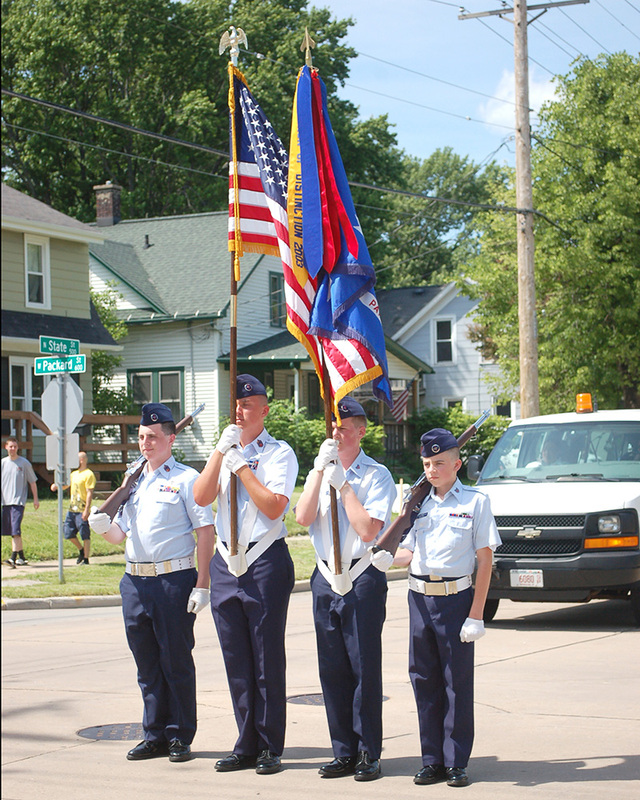 The Purpose of the Fox Cities Composite Squadron’s Cadet Program is to inspire each of our youth to become leaders in their communities. Cadet membership is open to U.S. citizens and persons lawfully admitted for permanent residence to the United States, its territories and possessions. Candidates for the Cadet Program must be between 12 and 18 years of age at the time of joining, and can remain as a cadet until 21 years of age. Cadets progress through the program by participating in activities and through study. Physical fitness, leadership laboratory, moral leadership and aerospace education comprise the curriculum of the Cadet Program. As the cadets pass their achievements, they earn rank, awards and/or certificates. FCCS cadets participate in summer encampment at Volk Field here in Wisconsin, giving them a taste of Basic Training life in the Armed Forces. They also receive orientation flights provided by CAP pilots, serve in a color guard, and march in parades. Some of the most rewarding activities a cadet can participate in however, is Emergency Services operations, such as Search and Rescue or Disaster Relief. Our cadets train right along with senior officers, in order to become qualified Emergency Services personnel. CAP also offers the young adult a wide variety of National level activities to attend, after the cadet has attended a basic wing encampment. They can participate in Flightline Operations at EAA Airventure, learn to fly powered aircraft or sailplanes, go to Space Camp, and more. Because the United States Air Force recognizes the value of the Cadet Program, each cadet who receives the Gen. Billy Mitchell Award and chooses to enlist, enters with the advanced rank of Airman First Class. The United States Coast Guard now also recognizes cadet achievement with advanced pay and rank upon enlistment.